2 Davis, Lottie Wright, Records of Lewis, Meriwether and Kindred Families; Genealogical Records of Minor, Davis, . . ., Columbia, MO: Artcraft Press (1951), 57. 3 McAllister, John Meriwether, ed. and Lura Boulton Tandy, Genealogies of the Lewis and Kindred Families, Columbia, Missouri: E. W. Stephens Publishing Company (1906), 41, Ancestry.com (Online Database). 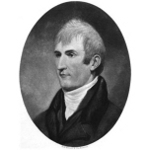 4 Wikipedia, "Meriwether Lewis", (accessed 03/20/2010).